Antifungal Nail Lacquer: Can It Cure Toenail Fungus Fast? You are here: Home / Foot Care Blog / Toenail Fungus Treatments / Should I Buy Antifungal Nail Lacquer? August 9, 2013 /1 Comment/in Toenail Fungus Treatments /by Jenn F.
The Mayo Clinic recommends seeing a doctor “at the first of nail fungus,” as the infection can spread and worsen if not treated. Symptoms include nail dullness and discoloration, thickening, and brittle, crumbling edges. To clarify their position, Fiore says, “Fiore Rx is not a cure and you should certainly seek medical attention for serious fungal infections.” Instead, they pitch their product as a way to prevent fungal infection of the nails. In fact, many antifungal nail lacquers say something similar. 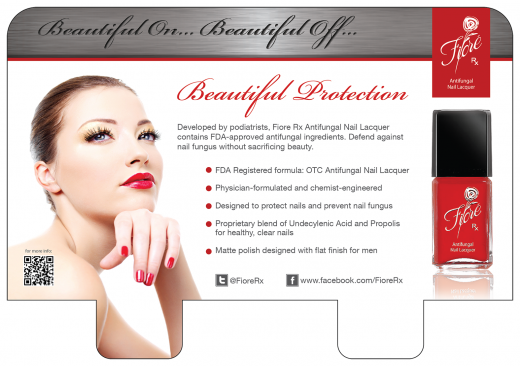 Effectiveness of Antifungal Nail Lacquer: Does It Work? According to Dr. Bryan C. Markinson, the chief of podiatric medicine and surgery at the Mount Sinai School of Medicine, the most effective treatment is Lamisil, an oral prescription medication that works for 2 out of 3 patients. This drug can be hard on the liver, though, and requires occasional monitoring with a doctor during treatment. The newest generation of prescription nail lacquers (using ciclopirox or amorolfine) have been clinically tested and approved by the FDA, reports the New York Times. However, many Over-The-Counter products have not been tested. On top of that, Dr. Markinson points out that topical antifungals remain unpopular with patients because they must be used for a minimum of one year on a daily basis to show effectiveness. “Most patients lose enthusiasm after the first three months,” the doctor explains. 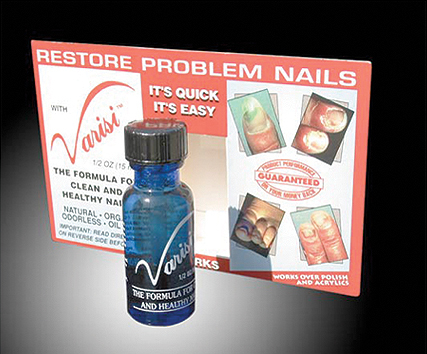 A nail fungus solution may range from antifungal creams and nail lacquers to oral medication and laser toenail treatment. So it’s recommended that you visit a podiatrist to discuss the most effective course of action. To prevent the return of infection, we advise you to invest in a SteriShoe UV shoe sanitizer to keep your footwear clear of fungal spores that can build up and contribute to future infections. Fungal nail infections are common in adults. They often follow fungal infection of the feet. Infections occur more often in toenails than in fingernails. I think this natural remedies will be very effective.